Tekne were instructed for the fit-out of Level 24 and 25 of The Shard building, the 95-storey skyscraper situated at London Bridge in Central London. Tekne’s scope of works were to include the manufacture and installation of bespoke joinery; these pieces included partitions, screens, media tables, coffee/tea bars and a reception area. 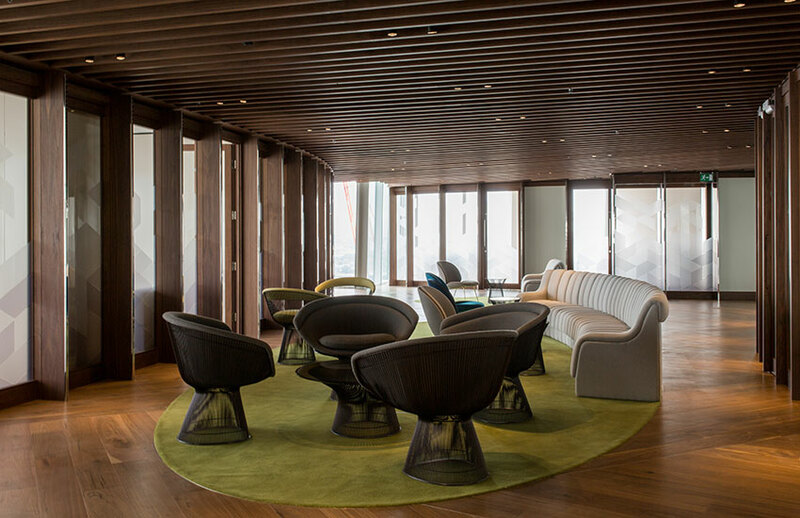 The Office Group opened the flexible workspace on levels 24 and 25 of The Shard on 3rd August 2015. The 33,600 sq ft space provides a mix of individual offices, as well as drop-in working areas, lounges and meeting/conference facilities, available to any business. 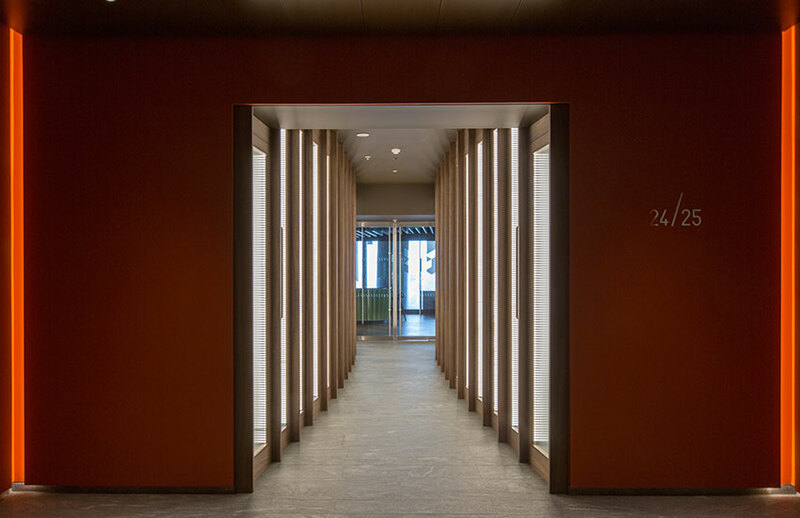 With architects Archer Humphryes (responsible for The Standard Hotel in New York), Tekne provided bespoke joinery that not only highlights the extraordinary views but also adds to the warm palette of materials and colour for a truly intimate and wholly unique environment. 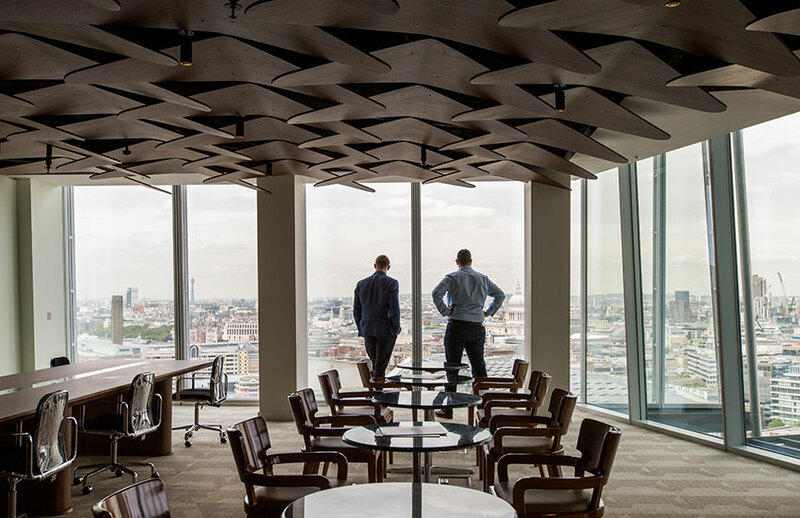 The logistics of organising a fit-out of this scale on the 24th and 25th floors of one of London's most iconic landmarks made this project an interesting and satisfying challenge. "Choosing Tekne to undertake our latest office space was an easy decision to make. They had a long standing relationship with David and the team from Archer Humphryes as well as a portfolio of works; varying in size and budget which really demonstrated to us that they would be able to confidently approach our project and work with a number of different contractors; to bring our creative vision to fruition. Which they did, with great care and skill. In summary, we are deeply pleased by the work that both firms have put into our latest work space, they have taken the greatest of care to ensure every detail was carefully planned, made and installed. 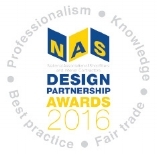 We enjoyed the collaborative experience and thank you for all you’ve done."